Manufacture Part Number: CN549J. CITROEN C1 - PEUGEOT 107 - TOYOTA. Content: Exhaust Rear Back Box Silencer. Pipe Connector: Clamp. Clamp Size: 53 mm. 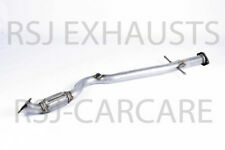 New Universal Exhaust Single Tip Back Box with Stainless Steel Tip -. UNIVERSAL EXHAUST SINGLE TIP BACK BOX. The exhaust back boxes are universal fit so will fit on any car. I want to fit the exhaust myself, can I do this?. Part Number:REGDN594_REGDN529_SIL255132_SIL255133 x2_SIL256215_SIL256054. 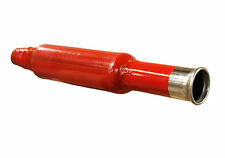 Listed Part number Part Manufacturer. 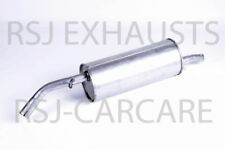 Replacement Exhaust Centre Middle Silencer 2 Year Warranty - Brand New! Content: 1x Exhaust Centre Middle Silencer. Changing the shape of the tail pipe (for example, from rectangular to round). Warranty: 2 Years. Part Number:GM432Q. This can include, but not limited to We also have a number of local branches around the country from which this item could be sold from. 5 out of 5 stars - Replacement Exhaust Centre Middle Silencer 2 Year Warranty - Brand New! 2 product ratings2 product ratings - Replacement Exhaust Centre Middle Silencer 2 Year Warranty - Brand New! RANGE ROVER P38 V8 + TD PAIR REAR BACK BOX EXHAUST DELETE REMOVAL PIPES NOISY !! HEAR THAT V8 RUMBLE !!!!!! REMOVES BOTH REAR SILENCERS! Vauxhall Corsa C 1.2i Cat 16v (08/03-). Vauxhall Corsa C 1.2i Cat 16v (10/00-08/03). VAUXHALL CORSA 1.416V MK II [2000-2006] Hatchback. Exhaust Back Box To FIT. Content: 1x Exhaust Centre Middle Silencer. Changing the shape of the tail pipe (for example, from rectangular to round). Warranty: 2 Years. Part Number:GM433P. This can include, but not limited to MPN: GM433P. VAUXHALL VECTRA B. YOU ARE BUYING AN OE QUALITY REAR EXHAUST SILENCER BOX. 1.6, 1.8, 2.0, 2.2. BMW Mini One,Cooper Back Box And Body Band With Rubbers. Ford Fiesta 1.25 1.3 1.4 MK6 Exhaust Rear Back Box Silencer 01-08 FREE CLAMP !!! We also have a number of local branches around the country from which this item could be sold from. Rear Exhaust Silencer-Box With Tail Pipe & CLAMP. to fit 500 1.2 NON SPORT 08-. FREE GASKET AND CLAMP ! Content: 1x Exhaust Centre Middle Silencer. Changing the shape of the tail pipe (for example, from rectangular to round). Changing from a pressed box to a rolled box (or vice versa). Part Number:GM597A. O.E spec pressed silencer With FREE GASKET ! LANDROVER FREELANDER 2.0 TD4 EXHAUST BACK BOX 00-06 LR188W WITH CLAMP ! Part Number:LR188W. MPN: LR188W. Content: 1x Exhaust Rear Back Box Silencer. Changing the shape of the tail pipe (for example, from rectangular to round). This can include, but not limited to Changing from a pressed box to a rolled box (or vice versa). 5 out of 5 stars - LANDROVER FREELANDER 2.0 TD4 EXHAUST BACK BOX 00-06 LR188W WITH CLAMP ! 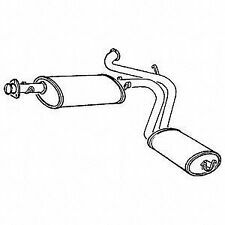 4 product ratings4 product ratings - LANDROVER FREELANDER 2.0 TD4 EXHAUST BACK BOX 00-06 LR188W WITH CLAMP ! 1 x center pipe with silencer. ASTRA MK4 Exhaust Rear Back Box Silencer 2 Year Warranty - Brand New! Replacement Exhaust Rear Back Box Silencer 2 Year Warranty - Brand New! Content: 1x Exhaust Rear Back Box Silencer. Changing the shape of the tail pipe (for example, from rectangular to round). This can include, but not limited to Warranty: 2 Years. Changing from a pressed box to a rolled box (or vice versa). FREE BODY STRAP INCLUDED - ALWAYS REPLACE THE STRAP ! Manufacturer Part Number ESR3195. MPN ESR3195. Range Rover P38. Range Rover P38 Centre Box. Range Rover P38 Mk2 (1995 to 2002) Pollen Cabin Filters - LR030219. Range Rover P38 - V8 Petrol. Bearmach Land Rover Discovery 2 & Range Rover P38 Alloy Wheel Nut x5 - ANR3679. Klarius Exhaust Centre Pipe Silencer Box. Search “Klarius Online Catalogue”. Fitting Position: Centre. Engine Code: Z 14 XEP | Manufactured After: 1/ 2005 | Chassis no. Any information in the compatibility table is for reference only and there may be unspecified choice options. FORD MONDEO 2007> Galaxy/S-Max 2006> 1.8 2.0 D Exhaust Rear Silencer FREE CLAMP! Content: 1x Exhaust Rear Back Box Silencer. Changing the shape of the tail pipe (for example, from rectangular to round). This can include, but not limited to We also have a number of local branches around the country from which this item could be sold from. 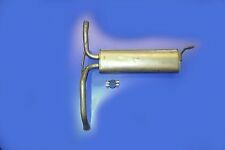 YOU ARE BUYING AN OE QUALITY REAR EXHAUST SILENCER BOX. 200 214 1.4 16V 11/95-04/00. 200 214 1.4 8v 11/95-04/00. 25 1.4 11/99-06/04. 200 216 1.6 11/95-10/99. NOTE: THE IMAGE SHOWS THE ACTUAL LEXUS iS200 REAR SILENCER. This silencer is manufactured from aluminised mild steel. Saab 900 2.0 T 16V Petrol Convertible (B202XL eng) 175BHP 10/1986 - 12/1993. Saab 900 2.0 16V Petrol Convertible (B204I, B202S, B202I eng) 133BHP 04/1990 - 12/1994. Saab 900 2.0 16V Petrol Coupe (B204I, B206I eng) 130BHP 10/1993 - 06/1998. La tua privacy e sicurezza sono molto importanti per noi. Popular categories. Ihre personenbezogenen Daten und deren Sicherheit sind für uns von höchster Wichtigkeit. Die Daten werden gemäß Verordnung (EG) Nr. 2.0 DCi, 2.0TDCi TURBO DIESEL. FORD MONDEO MK3. 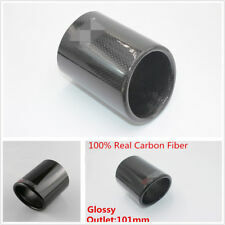 YOU ARE BUYING AN OE QUALITY REAR EXHAUST SILENCER BOX. FITS FROM AND TO 10/2001-04/2005. FITS THE FOLLOWING. NISSAN MICRA K11. YOU ARE BUYING 1x REAR BOX. Mini One Exhaust Rear Back Box Silencer Rolled Box For Noiser Throaty Sound ! 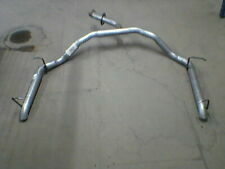 O.E Size Chrome tail pipe and bracket included ! Part Number:REGGM343_REGGM344. Listed Part number We also have a number of local branches around the country from which this item could be sold from. Part Manufacturer. 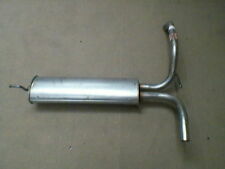 New Exhaust Rear Silencer Section – BMW Mini One. UNSURE WHETHER THIS EXHAUST IS CORRECT FOR YOUR VEHICLE??. Part Number:REGDN360_REGDN361. Listed Part number Part Manufacturer. La tua privacy e sicurezza sono molto importanti per noi. Litauen 0.00 £. Liechtenstein 5.00 £. Lettland 1.00 £. Kroatien (Kontinent, Krk) 34.00 £. Italien 2.00 £. Irland (Insel) 11.00 £. Griechenland 35.00 £. La tua privacy e sicurezza sono molto importanti per noi. Ihre personenbezogenen Daten und deren Sicherheit sind für uns von höchster Wichtigkeit. Die Daten werden gemäß Verordnung (EG) Nr. Dane auta muszą pokrywać się z danymi zawartymi w tabelce. Content: 1x Exhaust Centre Middle Silencer. Changing the shape of the tail pipe (for example, from rectangular to round). Part Number:GM504K. This can include, but not limited to We also have a number of local branches around the country from which this item could be sold from. Vauxhall Corsa 1.2 16V Petrol Hatchback (Z12XEP eng) 80BHP 07/2006 - 05/2010. 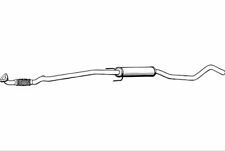 New Vauxhall Corsa 1.2 Hatchback Z12XE Z12XEP 03-06 Centre Exhaust Pipe - GM462X.GBP 37.25 View Item. Opel Corsa 1.2 16V Petrol Hatchback (Z12XEP eng) 80BHP 07/2006 - 05/2010. 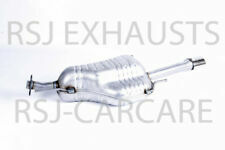 FIAT PUNTO MK2 1.2 99-06 EXHAUST REAR BACK BOX SILENCER. FIAT PUNTO MK2. 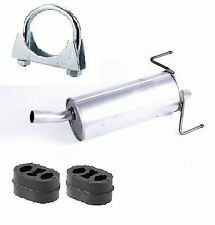 YOU ARE BUYING AN OE QUALITY REAR EXHAUST SILENCER BOX & CLAMP. Content: 1x Exhaust Centre Middle Silencer. Changing the shape of the tail pipe (for example, from rectangular to round). Warranty: 2 Years. Part Number:HA319E. This can include, but not limited to We also have a number of local branches around the country from which this item could be sold from. 4 product ratings4 product ratings - Replacement Exhaust Centre Middle Silencer 2 Year Warranty - Brand New!